The Singapore Armed Forces (SAF) will be deploying a transport aircraft to Indonesia to support rehabilitation and reconstruction efforts following September's deadly earthquake in Sulawesi. The Republic of Singapore Air Force (RSAF) C-130 aircraft is being deployed at the request of the Indonesian government to aid in efforts by the Indonesian Armed Forces (TNI), the Singaporean Ministry of Defence (Mindef) said on Wednesday (Nov 21). The aircraft will be deployed for a week to provide airlift support to transport humanitarian supplies into disaster-hit areas, Mindef said. The 7.4-magnitude quake, which struck on Sept 28 and triggered a 3m-high tsunami, left more than 1,200 people dead and some 16,700 displaced. 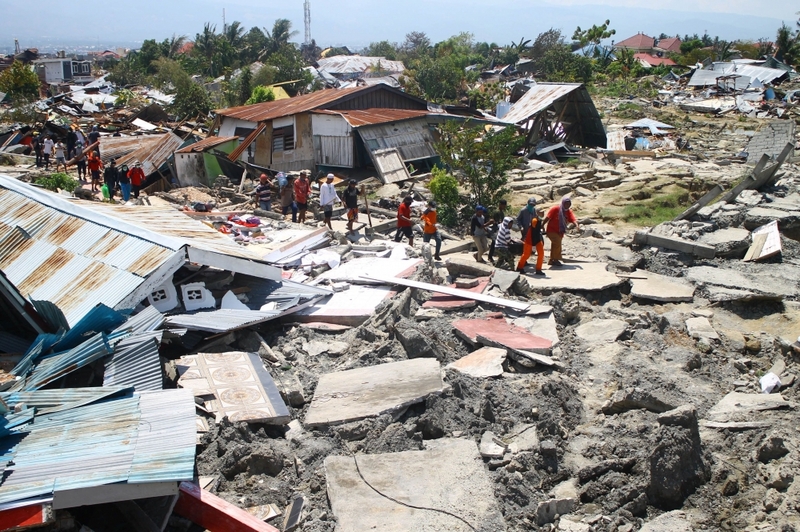 National disaster management agency BNPB previously said that about 2.4 million people in Donggala and Palu need humanitarian aid. On Oct 2, two RSAF C-130 transport aircraft were deployed to Indonesia to deliver a relief package, comprising tents, meal rations, bottled water and medical supplies, the Mindef statement said. The aircraft and crew remained in Indonesia to support the TNI in relief efforts, such as ferrying humanitarian supplies for those who were displaced. One aircraft returned on Oct 17, while the other returned on Oct 26. The SAF's contributions underscore the close and longstanding defence relationship between Singapore and Indonesia, Mindef said in the statement.